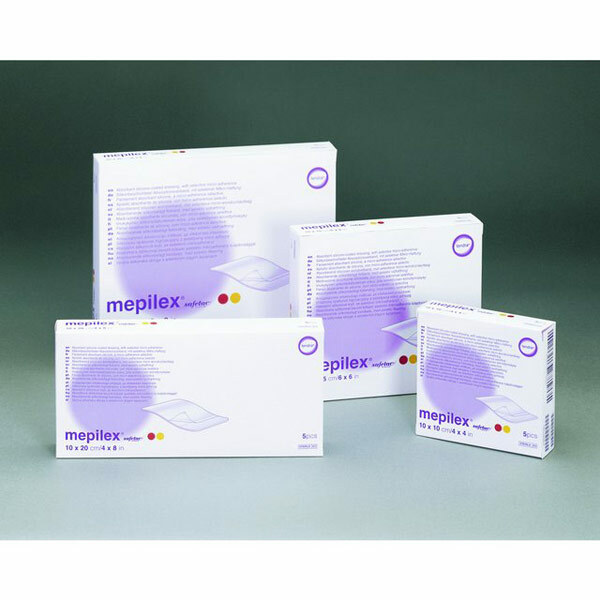 Mepilex Highly absorbent foam dressing featuring Safetac soft silicone technology. Absorbs exudate effectively even under compression bandages and minimizes the risk of periwound skin maceration and erosion. Conforms well to body contours and can be cut.